As I sat down to pen my introduction to this issue of Liebert Link, the news about Harvey Weinstein’s acts of sexual harassment and aggression came out, and more information and accusations have been pouring forth daily. I am horrified, like everyone else I know, regardless of gender. As I was carrying on about Weinstein at home, my husband reminded me of other men who have been accused of sexual harassment in this last year, including Bill O’Reilly, the late Roger Ailes, and, more recently, Roy Price, head of Amazon Studios. Is this all about power, or power combined with an abundance or overabundance of testosterone? As publisher of Journal of Women’s Health for more than 25 years and founder of the international Congress of Women’s Health, I have heard the presentations of authoritative healthcare professionals about the damage sexual harassment and abuse can inflict of women’s health and well-being. This is also an ongoing topic in another one of our journals: Violence and Gender. How do we put a stop to it? Can we? I look forward to your comments and ideas about how to halt this abuse of power and sexual aggression. Moving on: We are very pleased to announce the forthcoming launch of The CRISPR Journal; CRISPR and gene editing technologies are widely considered to be breakthrough technologies with enormous potential. Luminaries from the field, including Jennifer Doudna, Emmanuelle Charpentier, and George Church, are members of the editorial board, which illustrates the significant support for this new peer-reviewed journal. I urge you to become a charter subscriber of The CRISPR Journal now so that your users have access to this critical new resource as soon as it is published. Last, I was so pleased to see how well-received our latest tote bag design has been – Serials: Breakfast of Champions! If you did not yet receive your tote and would like one, please click here to request one. Catalogs! Get Your 2018 Catalogs! Our 2018 Publications Catalog is hot off the presses and has mailed. We hope you received yours, but if not, please reach out for one today so you can be updated on our new offerings and publications. As ever, your account representative is ready to help you renew, learn about additional titles relevant to your collection, and to advise you of special offers and discounts. If you follow science headlines, or any news at all, really, you have no doubt seen articles and features on CRISPR technology. The applications and ramifications of this revolutionary technology, being used in everything from genetically modified food and agriculture, to fighting diseases like malaria, to potential uses in personalized gene therapy, transcend science, demanding a unique, dedicated journal. 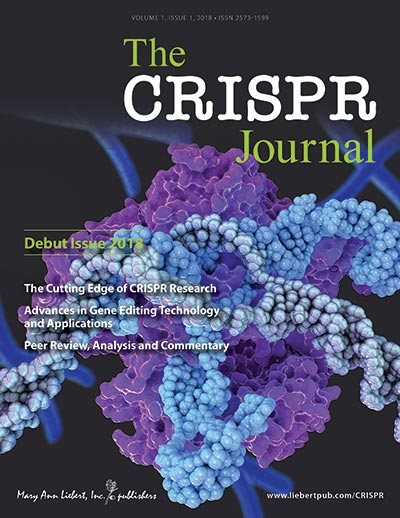 The CRISPR Journal, a new peer-reviewed publication launching in early 2018, will be the voice of the CRISPR community, publishing groundbreaking research in a multitude of disciplines, advances in the underlying technology and methodologies, and vigorous discussion and commentary including opinion, commentaries and essays from active researchers. 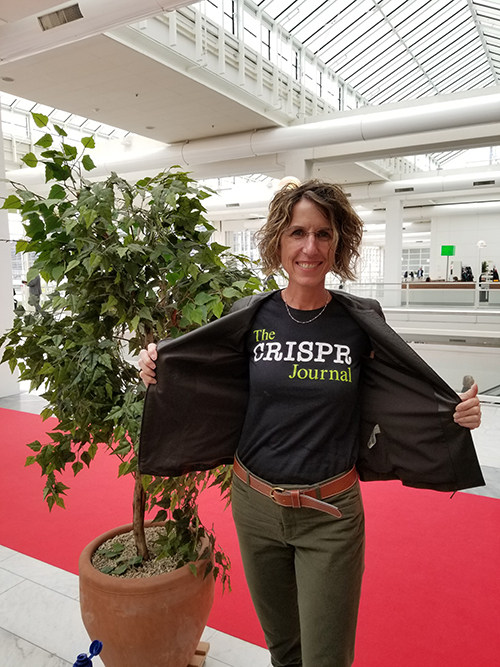 A multidisciplinary, global editorial team of CRISPR experts, led by pioneers in the field including George Church of Harvard University, Emmanuelle Charpentier of Max Planck Institute, and Jennifer Doudna of University of California - Berkeley, will oversee The CRISPR Journal. The Journal will be critical for researchers in wide range of disciplines, including cell biology, genetics and genomics, immunology, infectious diseases, microbiology, molecular biology, neuroscience, plant biology, and much more. Contact Us today to ensure access from volume 1, issue 1! 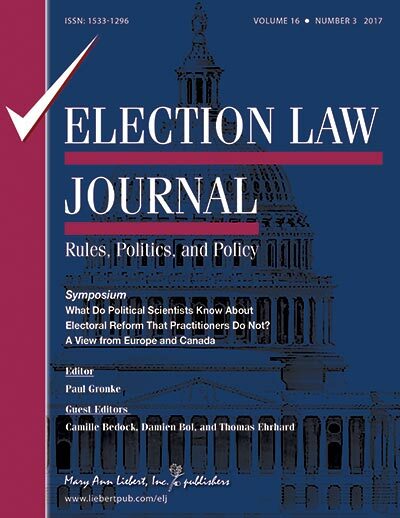 Professor David T. Canon, University of Wisconsin, Madison, has been appointed Editor-in-Chief of Election Law Journal: Rules, Politics, and Policy. David T. Canon is a professor in the Political Science Department at the University of Wisconsin and served as Chair of the department from 2014-2017. His research interests include election administration, racial representation, and the historical study of Congress. 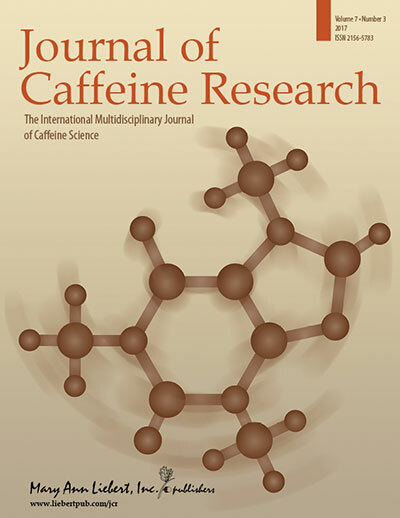 Sergi Ferré, MD, PhD, has been appointed Editor-in-Chief of Journal of Caffeine Research. Dr. Ferré serves as Senior Investigator and Chief of the Integrative Neurobiology Section at the National Institute on Drug Abuse. We are pleased to welcome Dr. Ferré to Journal of Caffeine Research which will be retitled to Journal of Caffeine and Adenosine Research starting January 1, 2018. Dr. Ferré will be supported by an outstanding international team of Associate Editors. 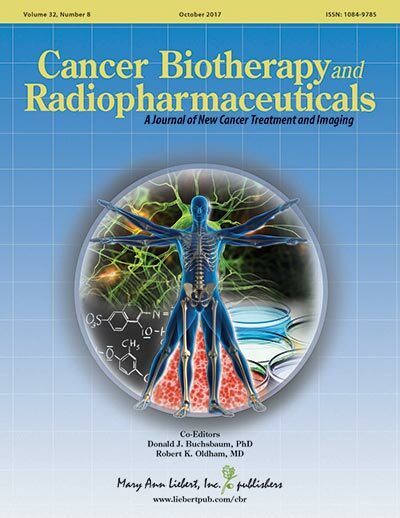 Martin W. Brechbiel, PhD has been appointed new Editor-in-Chief of Cancer Biotherapy and Radiopharmaceuticals effective January 2018. Dr. Brechbiel is currently Senior Investigator and Section Chief, Radiation Oncology Branch, and Head, Radioimmune & Inorganic Chemistry Section at the Center for Cancer Research at the National Cancer Institute, National Institutes of Health, Bethesda, Maryland. His areas of expertise include radiochemistry, conjugation chemistry, targeted radiation therapy, imaging, a-emitter therapy, and nanotechnology. We are pleased to announce that five of our titles have been accepted for inclusion in the biomedical database, EMBASE: Cannabis and Cannabinoid Research; Journal of Endourology Case Reports; Surgical Infections Case Reports; Journal of Pancreatic Cancer; and Transgender Health. Last month I had the honor of participating in a panel of women leaders in scholarly publishing as part of the PSP Women in Scholarly Publishing series. 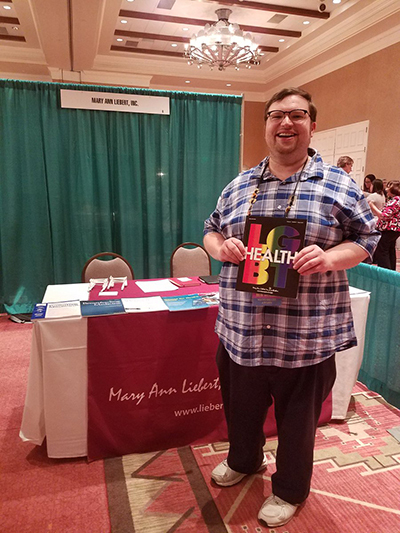 I attend many publishing and library conferences, and in the past three years or so, the topic of diversity in our market has been on the agenda of nearly every one. It’s an incredibly important topic and one I’m glad that we’re talking about so openly and frequently, given the news in recent weeks. Participating in and preparing for this panel gave me a lot of time to reflect on my feelings about diversity in scholarly publishing, particularly as it relates to my own career and experiences as a woman in this market. I’ve personally felt that academic publishing is welcoming to everyone, and that spirit of inclusion was one of the primary reasons I entered this field and have stayed for so long. 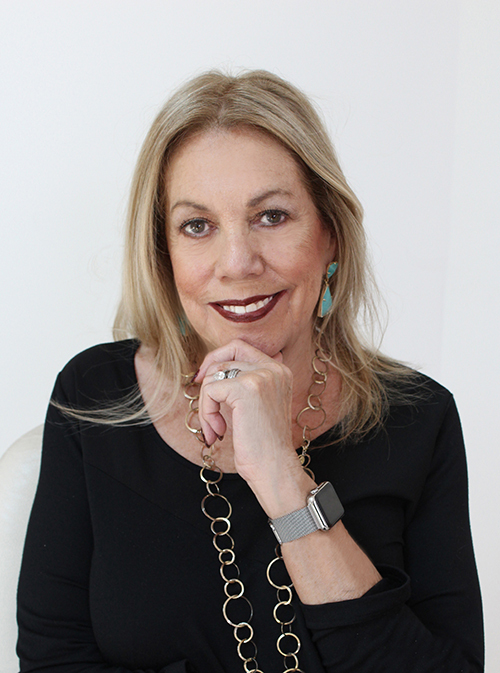 I started my career in educational publishing in the early nineties where I worked until 1997 when I took a break from my career to be home with my children. In 2004 it was time to re-enter the workforce, but educational publishing had changed a lot in the time I was gone, so when a recruiter recommended a role in scholarly publishing, I was intrigued. Major companies in the space were owned and operated by women; women were leaders in the Society for Scholarly Publishing organization and other associations; they were in leadership positions, driving the business and doing a fabulous job at it. During the PSP panel discussion, each of the panelists gave an overview of their background along with bullet points highlighting what we thought had led to our success. All of the women on the panel were incredibly successful and their stories were inspiring. But one point I keep thinking about was a statistic cited that women make up 63% of the academic publishing workforce and men 36%, but men are better-represented in high-profile, revenue-generating roles such as technology (24% vs. 12% women), new ventures (25% vs. 18%), and management (50% vs. 44%). Anyone who knows me recognizes that I thrive on data and ratios, but I personally think these figures may be skewed—what I’d love to know is, how much do “The Big Houses” skew those numbers? Throughout scholarly publishing there are publishers, production resources, and solutions providers that are owned and operated by women, so I was honestly surprised by the metrics that were presented as my perception has always been that the scales were much more balanced at all levels. I hold an enviable position of working at a highly respected, woman-founded, owned, and operated scholarly publisher that exemplifies gender and race blindness, with powerful, brilliant women and men at every level of our organization. I think “we,” the women in this market have done a great job cultivating an environment in which we have no limits. It has never once occurred to me that I could not achieve my goals or reach the highest levels of leadership in scholarly publishing because I’m a woman. What I hope we can do now is foster this atmosphere, not only in scholarly publishing but throughout society, so that the generations of young women who come after us will never know what it’s like to be limited due to their gender and will only ever be judged and paid on the basis of their talent and work ethic. So cheers to us for the great path we’ve forged so far—let’s keep going so we can abolish the need for these conversations ten years from now. Violence and Gender is the only peer-reviewed journal focusing on the role of gender in the understanding, prediction, and prevention of acts of violence. 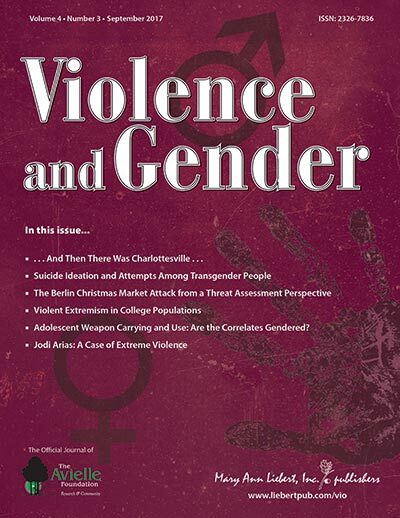 The Journal is the international forum for the critical examination of biological, genetic, behavioral, psychological, racial, ethnic, and cultural factors as they relate to the gender of perpetrators of violence and is a must-have for libraries serving researchers in psychology, sociology, anthropology, and professionals in threat assessment, education, and law enforcement. 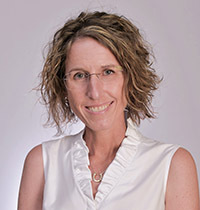 Violence and Gender is under the editorial leadership of Mary Ellen O'Toole, PhD, Director, Forensic Science Program, George Mason University; Senior FBI Profiler/Criminal Investigative Analyst (ret. ); and expert in psychopathy, criminal investigative analysis, offender behavior, targeted school violence, workplace violence, and threat assessment. 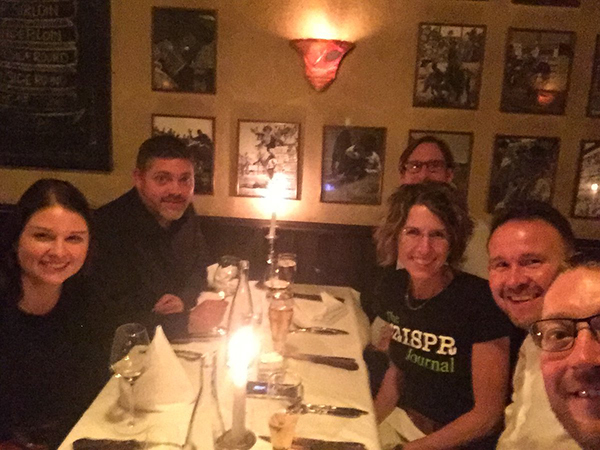 The ESGCT celebrated their 25th anniversary at this year’s meeting in Berlin. 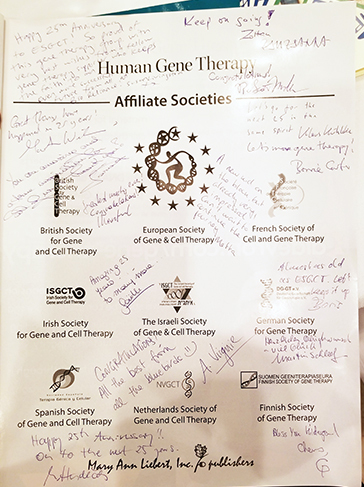 The Presidents of each of the regional societies celebrated the occasion by signing the special issue commemorating the anniversary!